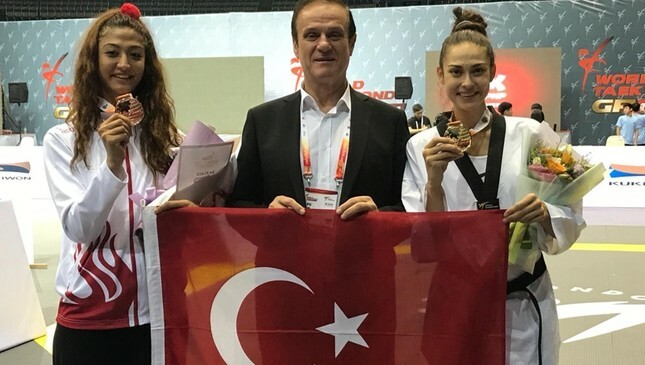 Turkish taekwondo athlete Irem Yaman won a gold medal in the women's 57-kg category by beating her Belgian opponent Raheleh Asemani 3-1, the federation said in a statement. "Round 1 was fought at long range. The Turk had the height advantage and looked more aggressive; the Belgian countered. The round ended 0-0. In the second, Asemani fell under Yaman's ax kick, going 0-1 down. In the third, Asemani rallied and landed a punch in the final seconds, taking the bout to golden point. Here, the world champion showed her quality, landing a convincing body kick for the gold-but a brave show from Asemani," the WTF said on its official website. Yaman's victory marked her second grand prix championship in a row and she will receive 40 points in the 2020 Olympic Games in Tokyo, Japan. In the women's +67kg division, Turkey's Nafia Kuş was defeated by British world champion Bianca Walkden in the semifinal and received a bronze medal.